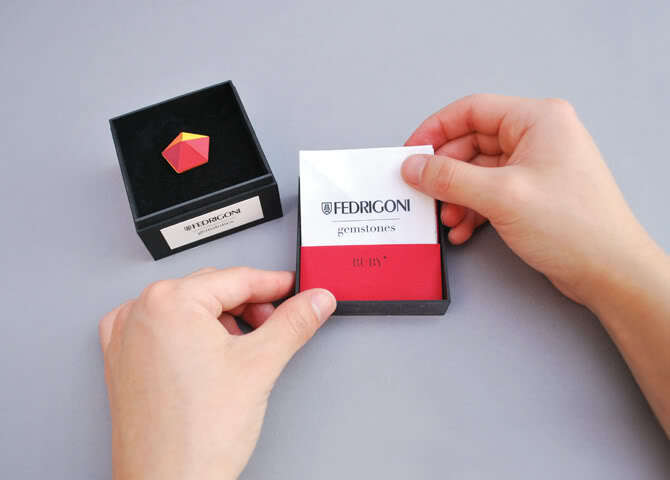 Lun Yau’s Fedrigoni gemstones are SO cute! 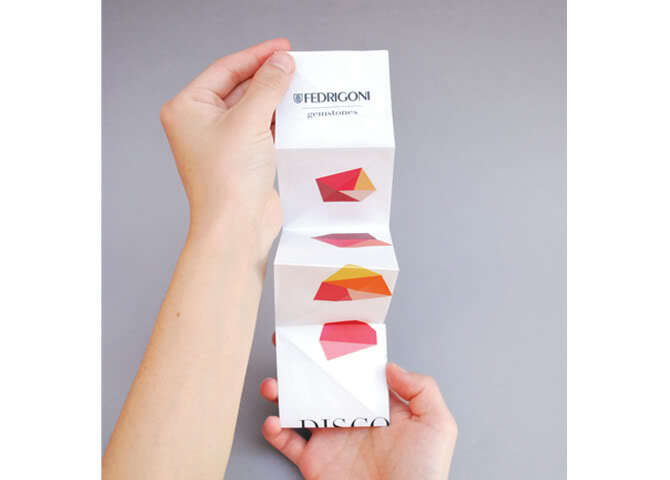 The brief was to ‘produce a fully integrated campaign to launch and promote Fedrigoni’s ‘Imaginative Colours’ paper selection tool in the UK’. I spoke to Lun briefly at New Blood – he came over when I was trying to photograph the set of gems (my photo’s don’t do it justice – his do!). 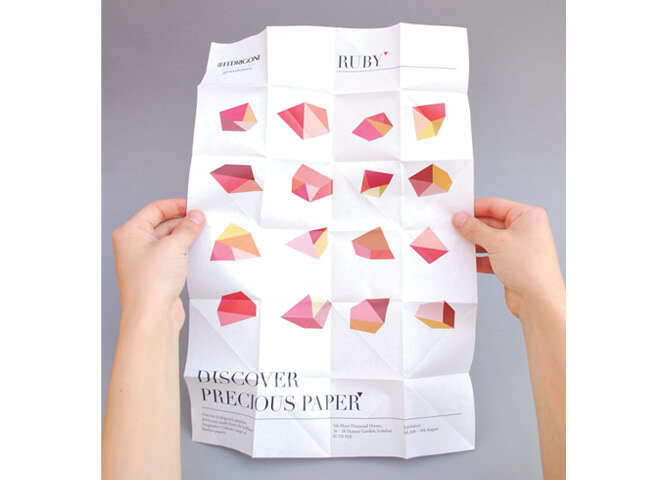 I think using the idea that the paper is precious like gems is really clever and looks really effective as the different colours can be used to make it look like light is shining through the gemstones. 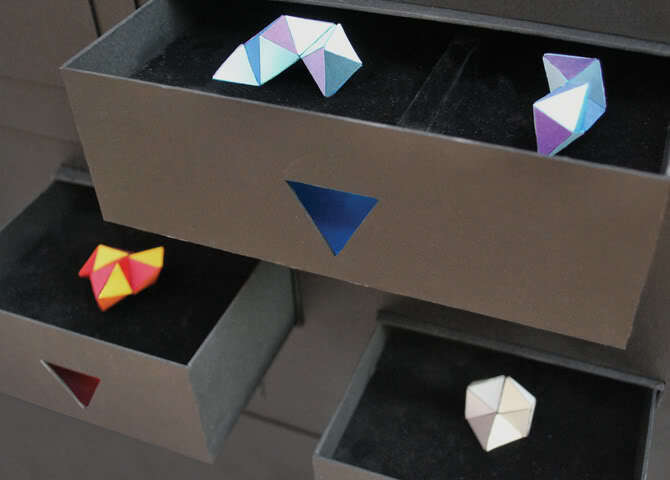 Oh, and cute triangle shaped drawer holes – it’s all so lovely! 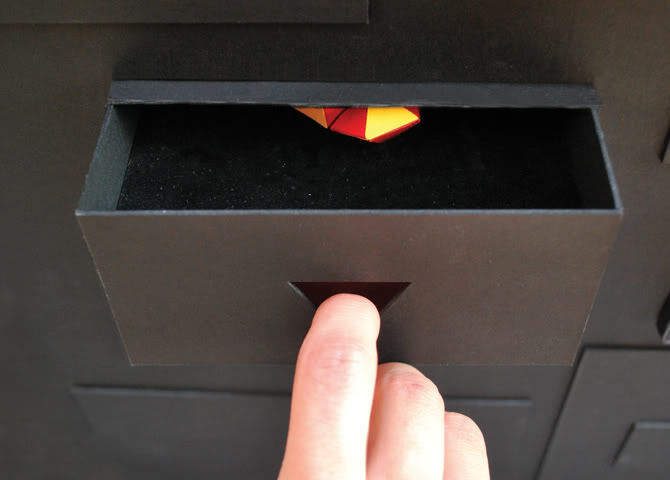 Why not!? 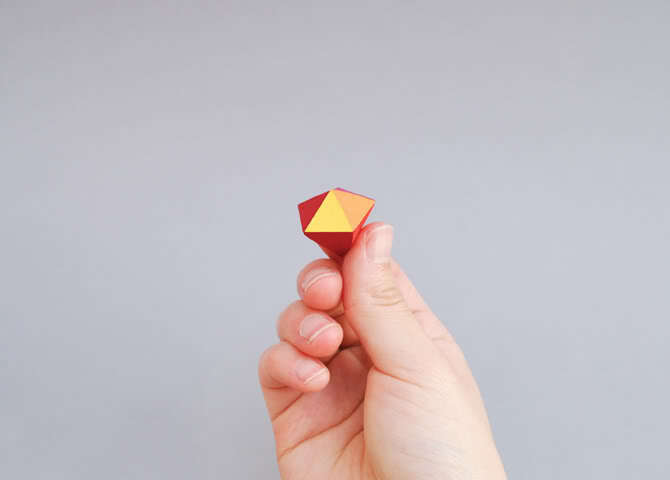 🙂 Because it rhymed (Tri Fri) and what better way to start the weekend than with a lovely triangular themed piece of design?